Spring always gives us the opportunity for a fresh start. Whether it’s finally getting outside and being social after hibernating all winter, cleaning out your place and getting rid of the clutter or you might even decide that you want a new place. Whatever it is, spring gives you the motivation to do so. A lot of dealerships offer really good incentives around spring because people are finally getting out of their houses again. So why not take them up on this great offer? Mazda’s Shift into Spring event gives you the chance to get into a Mazda SUV for a lot less. You can get up to one thousand dollars in spring credit on select models during Mazda’s Shift into Spring event. Who couldn’t use an extra thousand dollars?! Especially when making a big purchase like a new vehicle. So how will you spend your spring credits? Both the CX-5 and CX-9 are Mazda SUVs suitable for any family. They boast many different options with the most up to date tech, advanced safety and the capability of handling Canadian driving. When you dig a little deeper you’ll only find more reasons to choose a Mazda SUV as your new ride. The awards won by both the CX-5 and CX-9 are quite impressive. Some of the titles the CX-5 carries are: Top Compact SUV – autoTRADER.ca , voted “Best Buy” for compact SUVs by The Car Guide and 2019 Compact SUV of the year – Auto123.com. 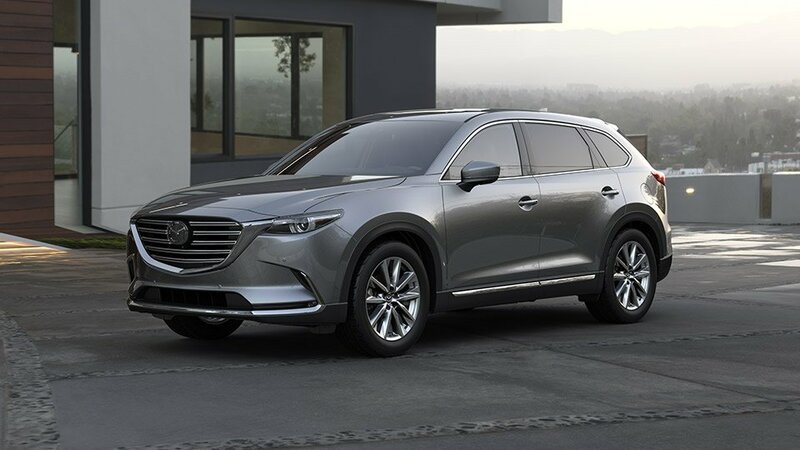 The big brother, Mazda CX-9, brought home some impressive titles as well, including: 2019 Midsize SUV of the year – Auto123.com and 2019 Top Safety Pick for a Midsize SUV from IIHS. With those awards, you know that both vehicles were built to perform. So which one should you choose? Well, that all depends on what you need. The CX-5 is a compact SUV with enough room for 5 passengers. It’s powerful enough to get you through any snow or rain storm and offers a lot of advanced safety features to keep you safe. If you’re looking for a little more room then the Mazda CX-9 is the way to go. It has been ranked as one of the best alternatives for mini vans. It gives you the leg room and storage you need without sacrificing a stunning exterior. It still has four doors but there’s enough seating for seven passengers. If you’re still having a hard time deciding which will work best for you and your family, take them out for a test drive! Figuring out which vehicle is right for you and your family all depends on your needs. One thing is for sure, you’ll get up to one thousand dollars in Spring Credits on select models to help give you the fresh start you need. So whichever Mazda SUV wins your heart will also rack up some serious savings for you. If you’re ready to take advantage of Mazda’s Shift into Spring Event stop by a Mazda dealership today for a test drive.